It's tricky for a heavily-regulated gambling brand to maintain positive sentiment and keep its 25 million weekly playing audience feeling like winners-in-waiting. Despite the fact that The National Lottery (TNL) has created over 5,000 millionaires, and every week give away £8 million to good causes, the belief that 'It Could Be You' has waned since 1994. 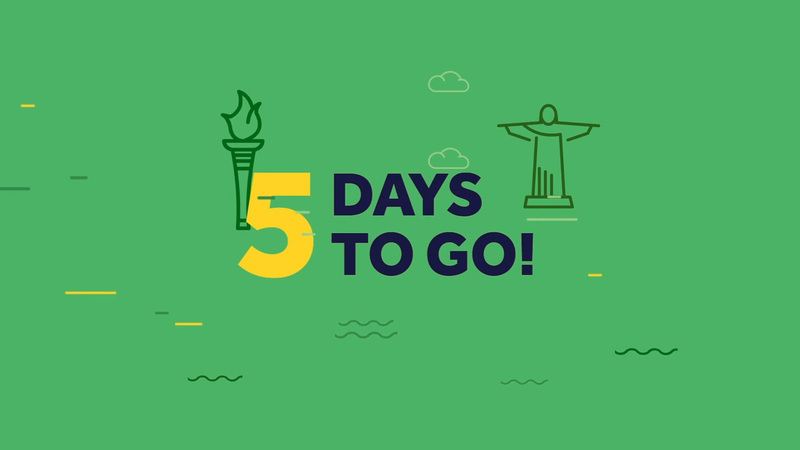 We began working with them in 2016 around the Rio Olympics, where we delivered bespoke Team GB 'medal moment' social content overnight in time for the UK to engage with over breakfast. 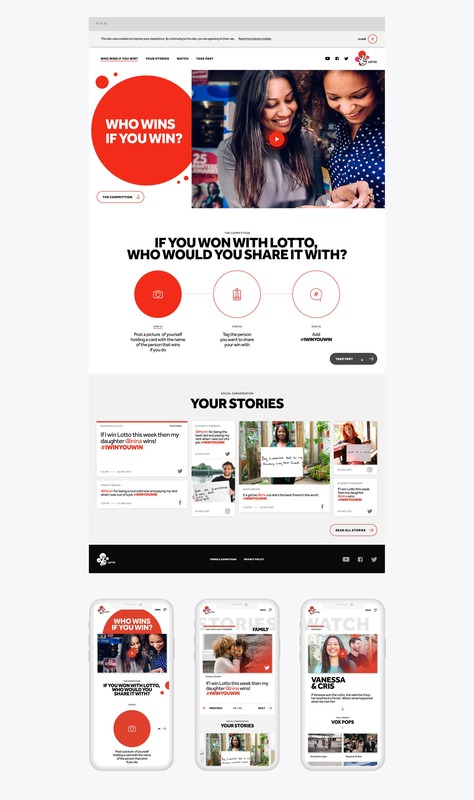 Since then we've continued to drive awareness of the TNL brand and all it does in the UK, inspiring regular play of Lotto and EuroMillions and working with its roster of agencies to maintain consistency of message across all its social channels, pushing new formats, and driving engagement and awareness of its draws and jackpots. Every year, The National Lottery donate millions of pounds to Sport UK, funding thousands of British athletes. 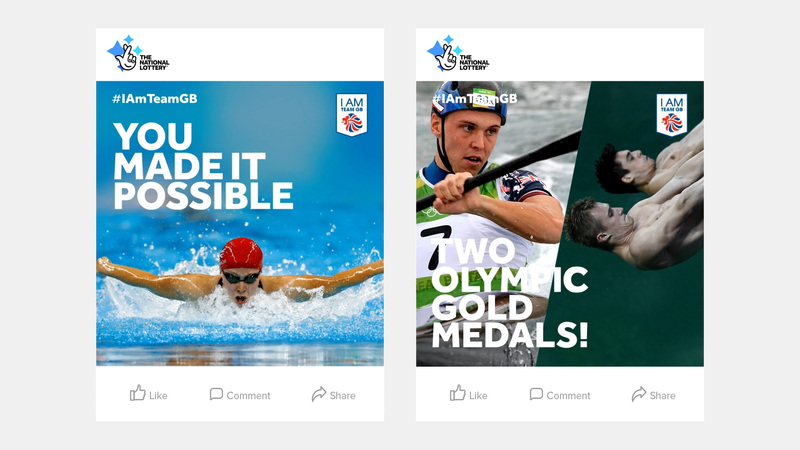 When those athletes went off to compete in Rio 2016, Camelot asked us to create engaging content that celebrated how their players supported Team GB. We did just that, creating a celebratory piece for every single medal win at the games and being the first to post about it. 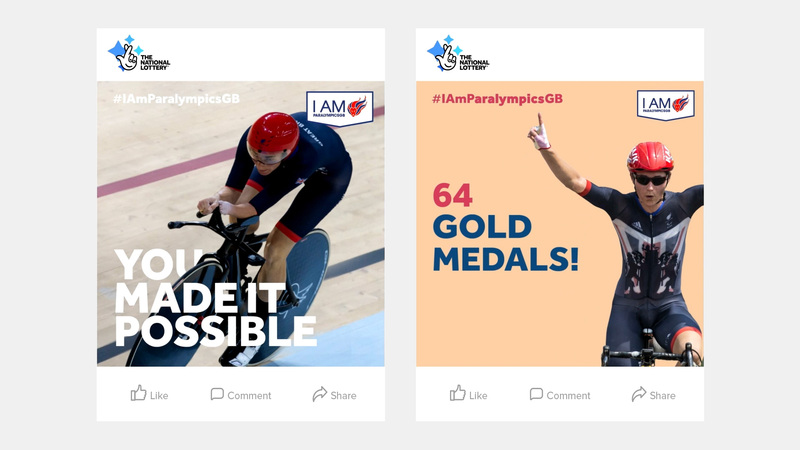 This meant working around the clock and drinking gallons of coffee as we tracked the athletes’ every move, so Camelot was the first brand to break the good news on social as the UK woke up and checked their feed. Combining slick animation, powerful copy and imagery fresh from Getty, our eye-catching posts did the trick. Our videos racked up over 10 million views and TNL received over 20,000 mentions across Twitter and Facebook - more than three times as many as the number two brand, Nissan, with just under 6,000 – all the more amazing for a brand without official ambassadorial deals being agreed. 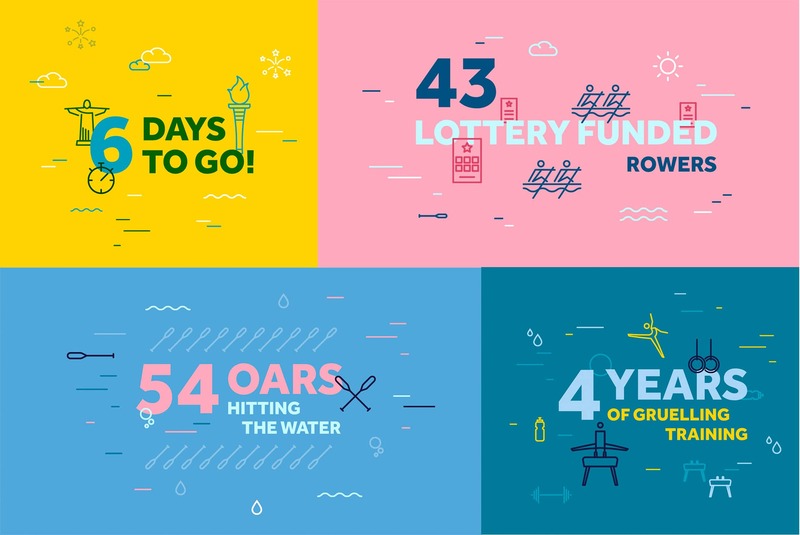 The overall goal to boost the public's awareness of the role played by lottery funding in Team GB's success nearly doubled, with awareness rising from 28% before the campaign, to 54% after it launched. 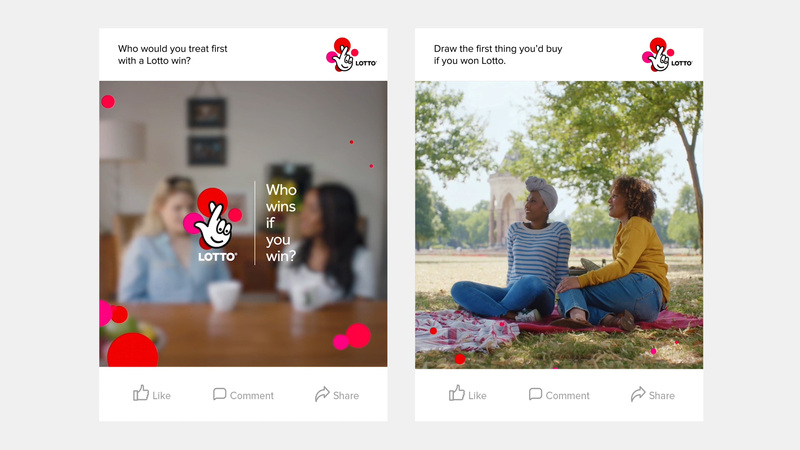 And of huge importance to Camelot the campaign also led to an uplift in sentiment, with 68% of National Lottery players saying they felt more positive about the brand. 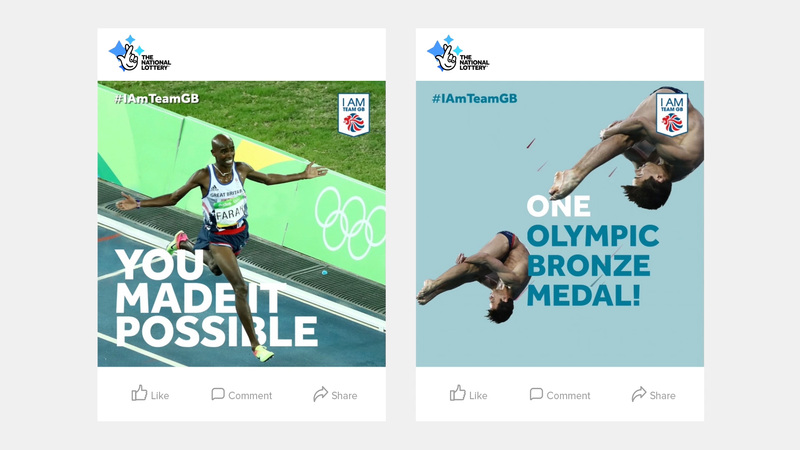 These results all meant Rio 2016 was the most successful social campaign Camelot had ever run. We’ve all dreamt of winning the lottery at some point. 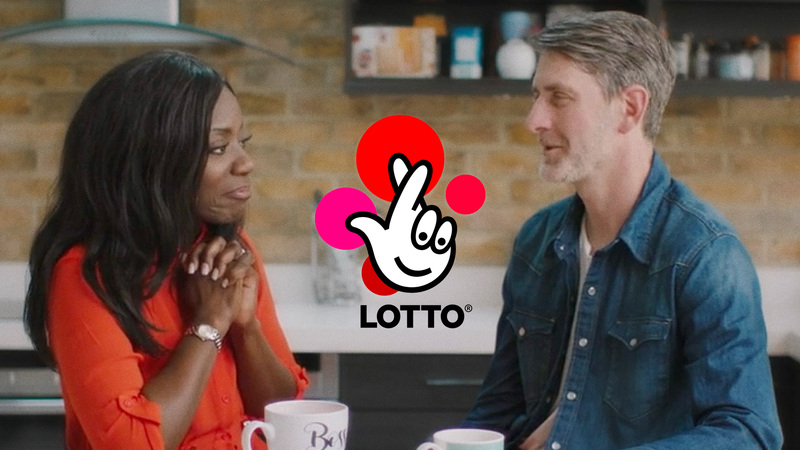 To build on Lotto’s ‘Who Wins If You Win’ campaign, we captured people discussing these dreams, and our social content series ‘The Conversation’ was born. Our cast featured groups of people from all over the UK, from a married couple in Newcastle to a group of hairdressers from Norwich. We asked them questions and let their answers be entirely unscripted and totally genuine. 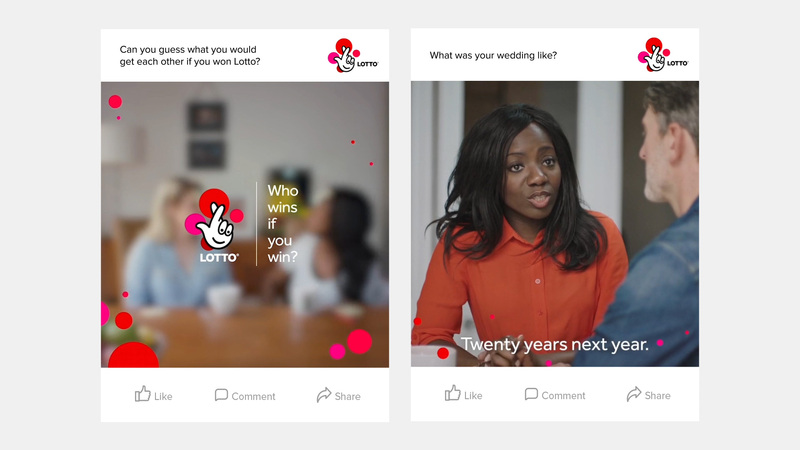 Many questions were based around who they would share their winnings with, but we also jumped on major nation-wide moments, such as the Royal Wedding or World Cup, to make content relevant and timely.